"If you stop by Spartan and Hannah’s 1500 square foot home on a sunny January afternoon, you will find yourself surrounded by warmth. This isn’t because of a wood stove, or a sophisticated heating system—in fact, you will probably find that the only heat source for the house, a 12kbtu heat pump, will be off. 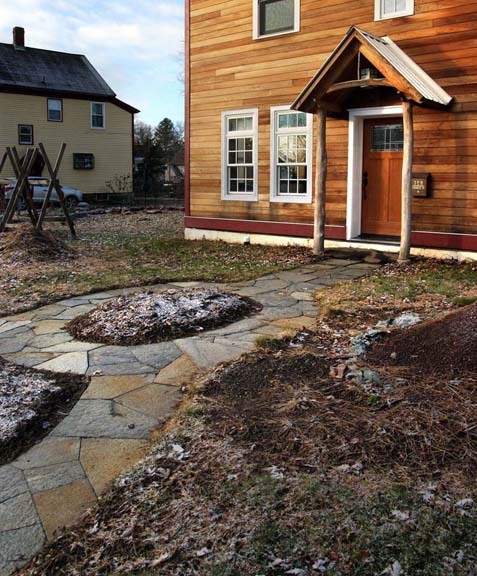 The house will be 70 degrees through a successful combination of passive solar design and super-insulation. Spartan and Hannah’s home doesn’t just perform under sunny conditions. True testimony to its energy efficiency can be found in data logged. Last winter the average indoor temperature was 68 degrees. At the same time, the heat pump used a mere $190 worth of electricity. Also, during the first year of operation, the 4.5 kW PV system produced a 500kW surplus; easily securing a net-positive title for the all-electric home. 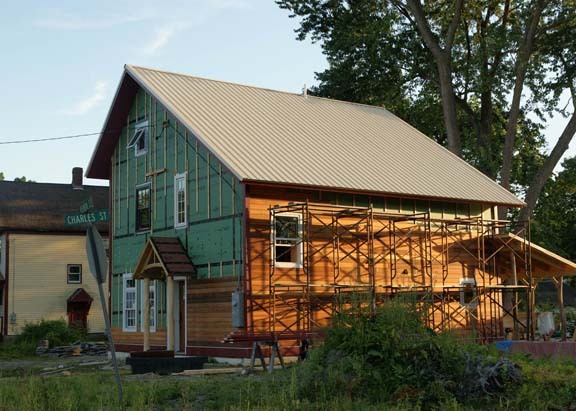 Today, to construct a net zero home, builders need simply to follow “The Formula”: insulate using the R20-40-60 rule, get the ACH50 below .6, use triple pane windows, and install a 5-10 kW PV system. The question before us now is how to bring down costs, get by with a smaller PV system, and, perhaps most importantly and most frequently overlooked, decrease the energy needed to create the building. 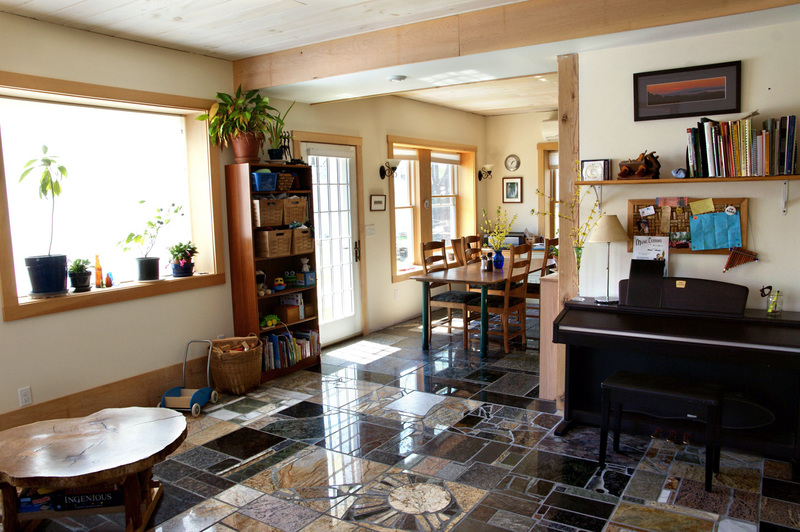 We answered the call to improve upon The Formula not through any single measure, but through a myriad of small design solutions, most of which, like passive solar, incur little or no additional cost. Several examples follow. 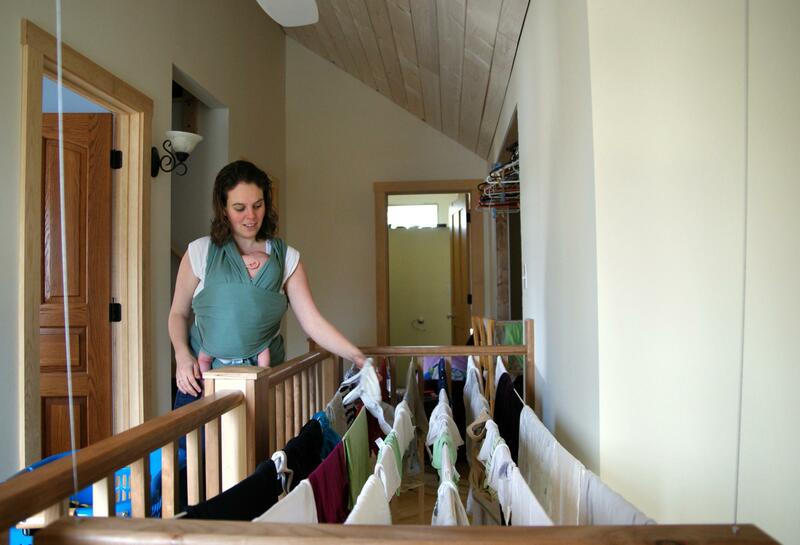 laundry drying rack and thus there is no need for a dryer. These and many more design solutions reduce our energy load and allow us to “get away with” a relatively small PV system, just one air source heat pump, and double pane windows. As important as it is to decrease the operational costs of a building, we would like to highlight the often overlooked embodied energy of construction. 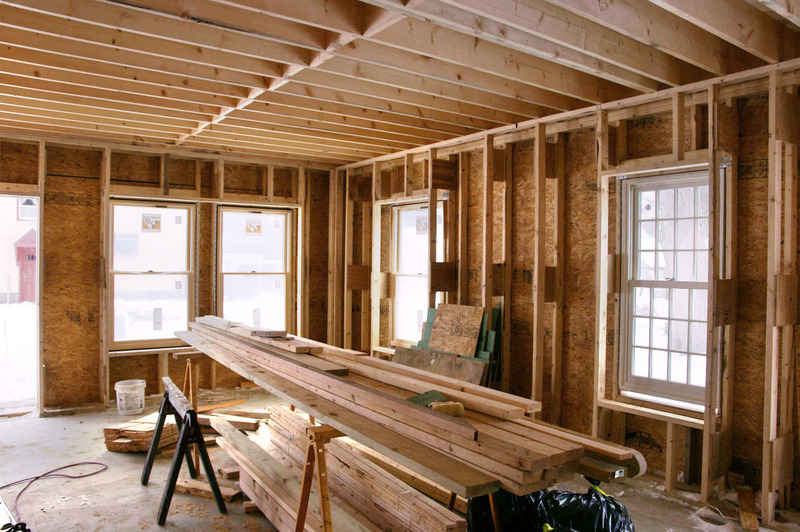 Throughout construction, we made an effort to use recycled or secondmarket product, and to decrease the use of heavy carbon footprint materials like concrete, aluminum, drywall, and foam. 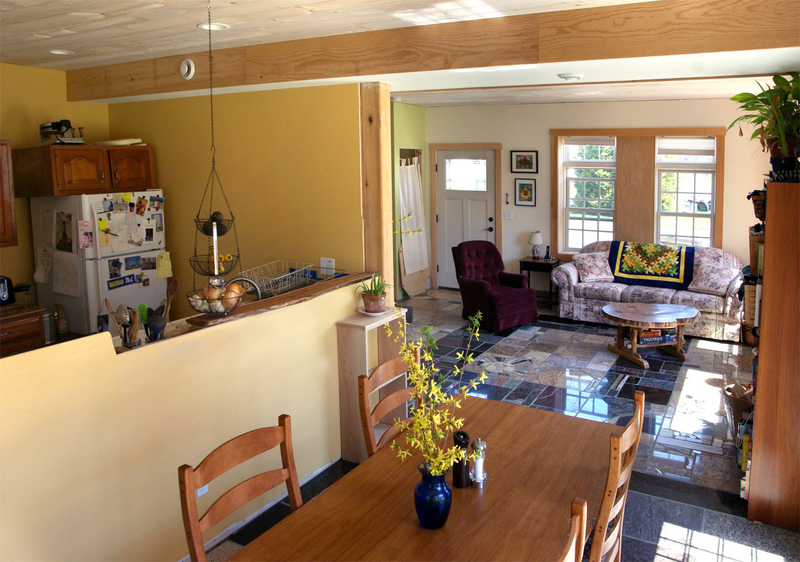 To this end, all of our foundation foam-board was recycled and most of our doors and windows and many other materials were purchased from second-market sources like Craigslist. Also, in order to reduce concrete, we engineered a shallow, frost protected foundation with a narrow 6” frost wall. 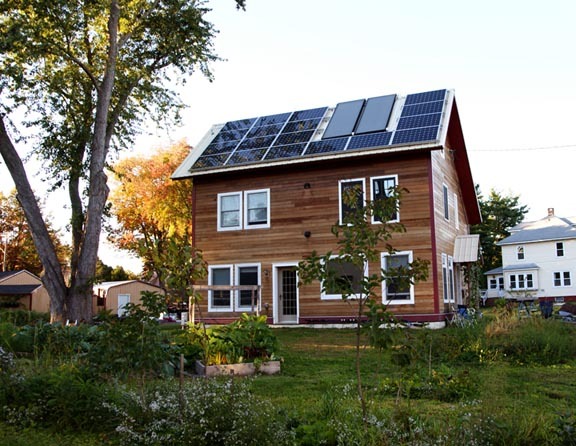 Spartan and Hannah’s home demonstrates ways to move beyond “The Formula.” Rather than adding another kilowatt of PV or elaborate technology, simple design choices reduce the energy footprint of our home. 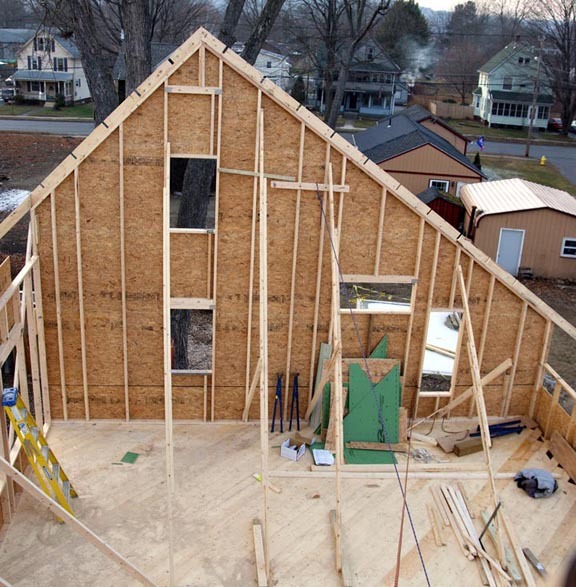 In order to help others learn about these ideas, our blog documents the entire building process, including performance data for the previous three years."